The HTExplore Team in December 2015. From left to right: MSc Antonio Vittoria (PhD student), M.Sc. Alessia Napolitano (HTE technician), Prof. Vincenzo Busico (President), Prof. Roberta Cipullo (Member of the Administrative Board), M.Sc. Enrichetta Villano (HTE technician), M.Sc. Alessio Mingione (HTE Technologist). Vincenzo Busico and Roberta Cipullo are co-founders and co-owners of HTExplore. They are both professors of Chemistry at the Department of Chemical Sciences, Federico II University of Naples, with a long and impressive track record in catalytic olefin polymerization (more on this at their Web site, www.lsp.unina.it). In particular, Vincenzo heads the catalysis projects of HTExplore, whereas Roberta leads the polymer characterization part. Alessio Mingione (M.Sc. in Chemical Engineering) has a research background in heterogeneous catalysts with controlled morphology. He plans and supervises the PPR catalyst screening projects of HTExplore, with the expert assistance of M.Sc. Enrichetta Villano and (since December 2015) M.Sc. Alessia Napolitano. 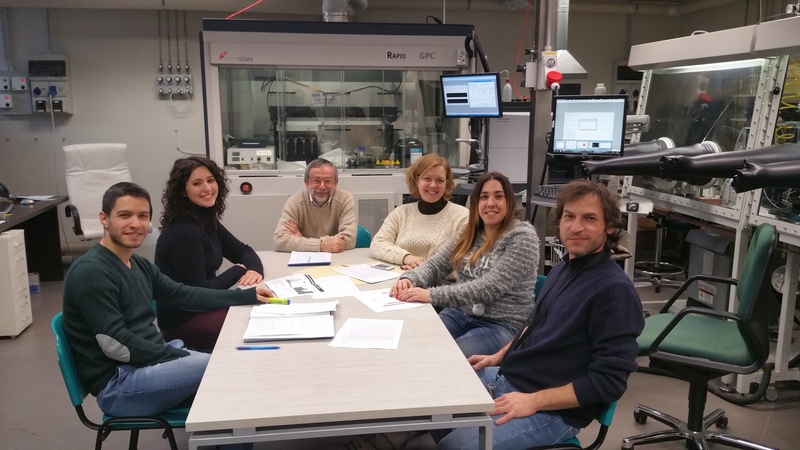 Moreover, as an academic spin-off of the Federico II University, we recently funded our first collaborative PhD studentship: in 2016-2018, MSc Antonio Vittoria will collaborate with us carrying out an ambitious project on ‘smart’ HTE methods in polyolefin catalysis. In addition to the above Team members, HTExplore benefits from a number of structural collaborations. Of special importance are those with Peter Budzelaar (Professor of Chemistry at the University of Manitoba and visiting scientist at the Federico II University of Naples) in experimental and computational organometallic chemistry, and Michele Vacatello (former Professor of Chemistry at the Federico II University of Naples) in statistical analysis of polymer microstructure and MonteCarlo simulations of chemical processes.